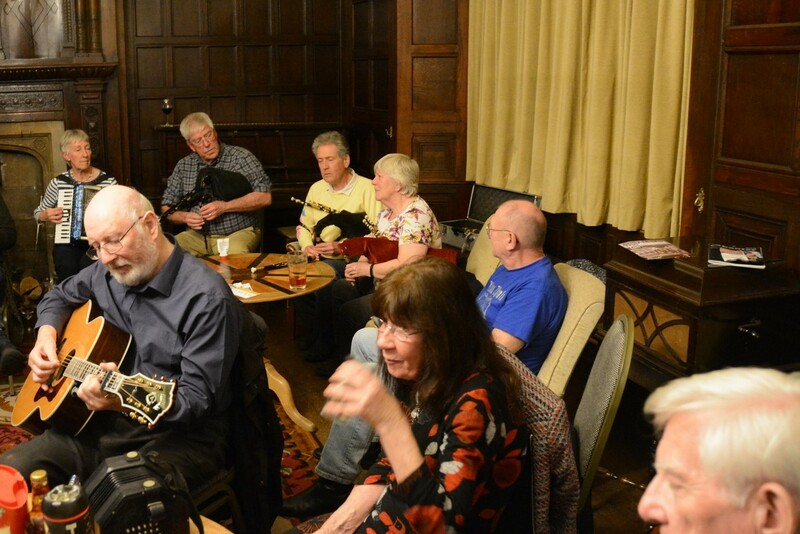 Halsway Manor open their doors to all on the first Sunday evening of each month for an evening of folk and acoustic music. Singers and musicians of all abilities are invited. If you are curious about folk music and just want to listen with a drink from the bar you are also welcome. There has been a Sunday Club meeting at Halsway Manor for many years. Its Spring now and time for a refresh and so this month we relaunch our open door event as Halsway Manor Music and Song club. This ‘Sunday Club’ for musicians and singers is informal and relaxed. We have a folk theme, but really all types of acoustic music, song and poetry are welcome. The evening generally combines some playing together with individual spots. We don’t frown on you having your own words or music in front of you and certainly encourage beginners. Just come along or give Roger a call 01278 671685 if you would like to find out more. Halsway Music and Song Club is held 8pm on the 1st Sunday of each month (with the exception of an August break for Sidmouth Folk Festival). Free to attend – donations welcome.